Security | International Medcom, Inc.
Our instruments and systems are being used in some of the most security conscious communities on the planet. The data from these instruments are considered vital for protecting people and the environment. They provide peace of mind, and also the potential to respond rapidly to events – to prevent loss of life and property. More details on our security products and custom security solutions are available upon request. Please call us, or email us.. Please tell us about your affiliations and requirements – so we can help with your security concerns. 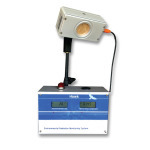 Radiation Monitoring Systems: Our Hawk EMS will not only monitor your event, business, or building. It will also shut down your air intake if radiation is detected. Itʻs bright warning light and high output beeper will let you know right away if there is something you should be aware of. These systems can be used in hospitals, waste management facilities, land fills, or any place where potential sources of radiation need to be monitored. 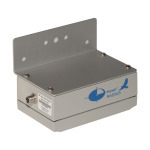 Hawk Radius Probes: The Hawk is known for itʻs vision, itʻs ability to see what others cannot. This probe has two sensors. 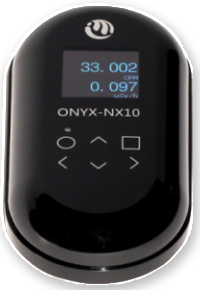 One detects and measures penetrating gamma radiation dose. The other detects mixed alpha, beta and gamma radiation. This combination of capability can help manage an emergency or (better) detect a problem in time to correct it before there is an emergency. Radalert 100X. Firefighters in one of the most security-conscious cities in the world put an IMI Radalert in every fire truck. Radalerts were also distributed to city and state police. Public Safety people love the Radalert family of products because they are easy to use and understand. 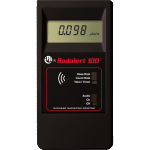 The original Radalert ushered in an age of digital radiation detectors over 25 years ago. The current model, the Radalert100X, continues to provide high cost/performance benefit,s and is highly valued because it is easy to use and understand. Look for the Radalert(TM) logo to make sure you are getting the original IMI/Medcom instrument with the industryʻs best warranty. 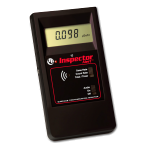 The IMI Inspector has been the surface contamination instrument of choice in numerous health and safety programs for over 20 years. It set the standard for a new generation of compact digital instruments. The IMI Inspectorʻs high contrast display, accuracy, ease-of-use and affordability make it stand out in the Crowd. It is a real workhorse, and it detects alpha, beta and gamma radiation. The IMI Inspector performs well (as do all IMI instruments) in environments with strong electrical and magnetic fields. Look for the (magnifying lens) on the IMI Inspectors to know you are getting the original high quality Medcom Inspector, with the industryʻs best warranty.